At $150,000. It's a steal at this price as this is one of those unique opportunities to own and operate an authentic Japanese Restaurant in South lake Tahoe that makes an adjusted net profit in excess of $100k on the tax returns! Situated in central town about 2 miles from the scheduled new Convention Center at the State line of California/Nevada, South Lake Tahoe, located in a free standing building surrounded by a large Car lot. This restaurant has been under the same ownership since 1984 (26yrs) and is probably the most well known Asian Restaurant in Tahoe. Featuring 3,000 Sq Ft of space. 2000 sq ft dining room & 1000 sq ft preparation kitchen and storage. The Seller has successfully negotiated a rent reduction for a 2 year period. Now just $3,800 per month for a 3000 sq ft restaurant, making this one of the least expensive commercial rents in Lake Tahoe. The Dining room accommodates approx 100 seats with a Beer/Wine Bar and beautiful Sushi Bar. There is ample parking on an approx 0.50-acre lot. The whole Dining room has been recently refurbished to a very high standard with many upgrades including the intimacy of a special private room, making this opportunity totally turn key. No further investment is required. It looks and feels absolutely new and clean. 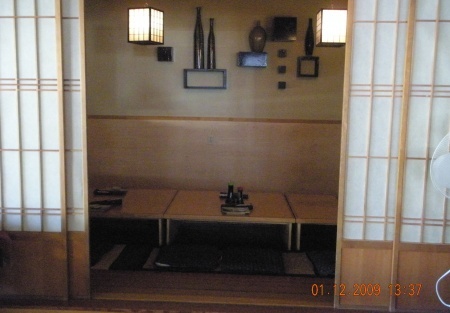 The open Sushi Bar sits proudly to one side and is a real favorite with locals and tourists alike. The building is free standing with high visibility signage situated right on the main Hwy. There is a Type 41 Beer and Wine license which is included with the sale. Open for Dinners only, seven days a week there is ample opportunity to expand the business, opening for the busy lunchtime experienced by most other restaurants in town. $150,000. You couldn't find a better deal and the opportunity to start a new life beginning in 2012. Don't hesitate as at this price, this restaurant will sell fast! SBA financing could be arranged for extremely qualified and experienced buyers. There is nothing but upside and great opportunity here for not only adding lunches but also catering special events. Only $3,800 per month rent!